This drawing is commonly referred to as the "Piping and Instrumentation Diagram" Its objective is to indicate all process and service lines, instruments and controls, equipment and data necessary for the design groups. The process flow diagram is the primary source of information for developing the P&ID.The P&ID should define piping, equipment and instrumentation well enough to cost estimation and for subsequent design, construction, operation and modification of the process. 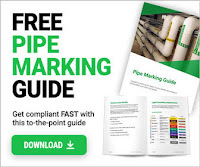 Material balance data, flow rates, temperatures, pressures and piping fitting details are not shown and purely mechanical piping details such as elbows, joints and unions are inappropriate to P&ID's. The layout of the P&ID should resemble, as far as practicable, that of the process flow diagram. The process relationship of equipment should correspond exactly. Often it is useful to draw equipment in proportion vertically, but to reduce horizontal dimensions to save space and allow room for flow lines between equipment. Crowding information is a common drafting fault - it is desirable to space generously, as more often than not, revisions add information. On an elevational P&ID, a base line indicating grade or first-floor level can be shown. Critical elevations are noted.For revision purposes, a P&ID is best made on a drawing sheet having a grid system - this is a sheet having letters along one border and numbers along the adjacent border. Thus, references such as "A6", "B5", etc., can be given to an area where a change has been made. All flow lines and interconnections should be shown on P&IDs. Every line should show direction of flow and be labeled to show the area of project, conveyed fluid, line size, piping material or specification code number (company code) and number of the line. This drawing shows process and service lines between buildings and units, etc. and serves to link the P&IDs for the individual processes, units or buildings. Like any P&ID, the drawing is not to scale. It resembles the layout of the site plan, which enables line sizes and branching points from headers to be established and assists in planning pipe ways. A P&ID shows all of piping including the physical sequence of branches, reducers, valves, equipment, instrumentation and control interlocks.